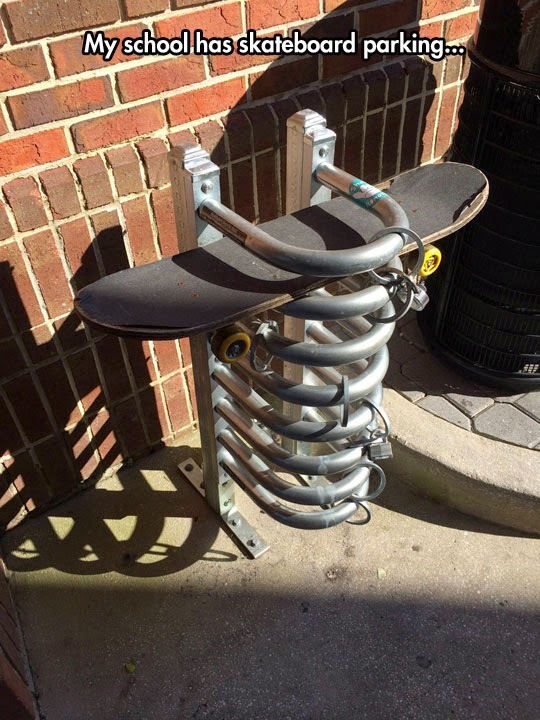 I've seen bike parking before but this is the first I've every heard of skateboard parking. I can't help but think you could simply remove one of the trucks and slide this thing out. Don’t most people just put these things in their locker (or carry them from class to class)? That's what I did when I was that age.